The Ohio Environmental Education Fund (OEEF), a program within the Ohio EPA, has awarded a grant “Beekeepers Collaborating to Create Pollinator Habitats” to Ohio beekeeping groups. The grant was written by Michele Colopy, Program Director of Pollinator Stewardship Council (and contributor to Bee Culture magazine) to support an idea developed in collaboration with Peggy Garnes, President of the Medina County Beekeepers Association (MCBA), and Terry Lieberman-Smith, Vice-President of the Ohio State Beekeepers Association (OSBA). “The need for this project was inspired by national initiatives developed by the Honey Bee Health Coalition, the Presidential Memorandum for pollinator health, and the USDA, who recently gave funding to support pollinator habitat in five states (Ohio was not one of the five states).” stated Michele Colopy, Program Director. The land will remain the private property of the land owner, but it will be transformed into pollinator habitat. The project is a public-private partnership to develop pollinator habitat on corporate land. The project had to secure land partners for the habitat development prior to applying for the grant. This requirement made it difficult to secure land partners since they would have to put their enthusiasm on hold until funding was approved. A story in the local newspaper communicated the beekeeper partners’ pollinator habitat proposal to the greater community. The contacts of the MCBA and OSBA proved invaluable to get the word out to local businesses. 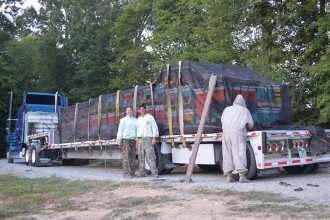 Two of our corporate partners came to the project from employees who are also beekeepers. The land partners bring a diversity of land types, and placement across Ohio. In one case, two and a half acres sits in the middle of an industrial park, with neighboring businesses all having similar sized side lots. We believe this future 2.5 acre pollinator habitat will be the model for the other businesses to replicate on their land. The smallest parcel is less than an acre in total. The land surrounds a single family home redesigned (and re-zoned) for a private medical practice. The concern for this lot is the issue of the height of plants: grass cannot be taller than eight inches, flowers can be of any height. So, the pollinator mix planted will not include any grasses. The grant will fund the development of pollinator habitat on a combined total of thirty-six acres of corporate land in northeast Ohio and southwest Ohio. Four corporate land partners are committed to creating and maintaining the habitat for a minimum of five years. The land partners are CEMEX, Inc., Remington Products Company, the Department of Veterans Affairs in Dayton, and Professional Services Providers of Wadsworth, LLC. The grant will act as a catalyst to educate corporations, their employees, and customers about the need for pollinator habitat, connect beekeeping groups with local corporations, enhance public/private collaborations, and inspire land use changes in support of pollinator habitat. “While this grant is closed, there are other opportunities for landowners and farmers to plant pollinator forage through many CRP programs available through the Federal government”, states Terry Lieberman-Smith. “The “Beekeepers Collaborating to Create Pollinator Habitats” project meets the needs of beekeepers for diverse, nutritional forage for pollinators, provides good nutrition for pollinators supporting healthy bee colonies and healthy native pollinators, supports microenterprise honey production at the local level, supports local food, educates business/institutional customers and employees about the value of managed and native pollinators, assists businesses/ institutions in fulfilling their own environmental stewardship ethic. This “increased cooperation” is integral to a vital, sustainable, and affordable food supply for humans and pollinators. The land partners have the option to contract with local beekeepers to place bee hives on the property. The grant will also provide for nesting areas for native pollinators. Citizen Scientists will survey the land twice a year for five years noting the diversity of insects, and other animal life that are utilizing the habitat. This data will be available in a public database, so we can show the changes in the landscape, and the plethora of life supported in this pollinator habitat. Educational materials will be provided to the corporate partners to share with their employees and customers inspiring them to plant pollinator forage instead of grass. The local bee clubs will provide scholarships to four 4-H students within the land partner areas, with the 4-H students writing articles for the corporate newsletters about honey bees and their beekeeping experience. 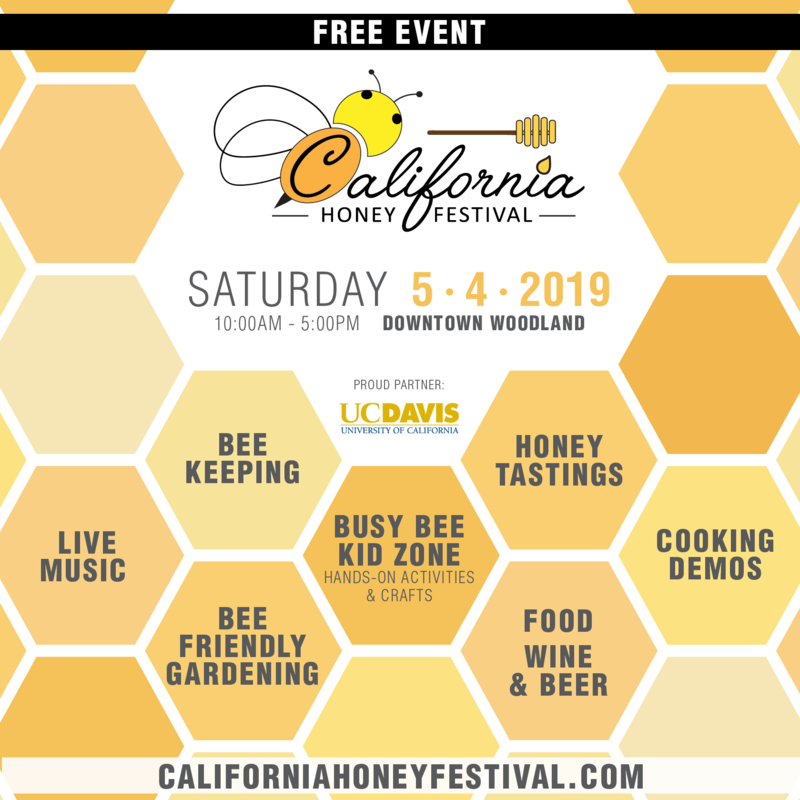 The beekeeping partners will encourage other corporations, beekeepers, and the public to convert their grassy lawns into pollinator habitat through two dozen presentations about this project. “This is not a beautification project, but an education and habitat project. All of the land is within forage range of dozens of Ohio honey bee colonies. We will collect that data from the State Apiarist to show the additional impact to the local honey production, and benefit to the community of beekeepers.” stated Peggy Garnes. All of the land is visible from the road, so the general public will be able to drive by the land and see the pollinators visiting this floral smorgasbord. This project, however, was developed to create pesticide free pollinator forage and habitat, not to provide a park-like setting for the public to stroll through. “To support the nutritional needs of our honey bees and native pollinators, beekeepers are best suited to take the lead to create pollinator habitat. Local beekeepers need to communicate with their local businesses to inspire them in the planting of pollinator habitat instead of grassy lawns. Local solutions to local problems are the key to a better community.” stated Michele Colopy. The Pollinator Stewardship Council, who wrote the grant, expects this project will serve as a pilot program adaptable in other states. If your State Beekeeping organization is interested in a similar program in your state, contact the Pollinator Stewardship Council directly at progdirector@pollinatorstewardship.org or 832-727-9492. To learn more about the Ohio State Beekeepers Association contact them at vice-president@ohiostatebeekeepers.org. For information about the Medina County Beekeepers Association email Peggy@BeeCulture.com.